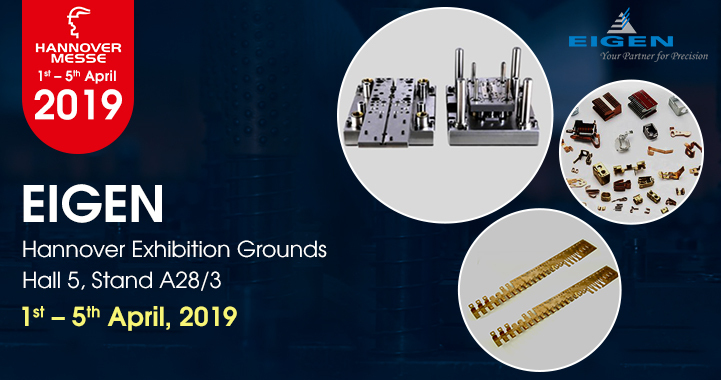 The Eigen team is all geared up to join the world’s leading trade show for industrial technology, Hanover Messe exhibition in Germany, Hannover Fair: 1st – 5th April 2019, daily 9 a.m. to 6 p.m. The Eigen team is gratified to join more than 5000 international exhibitors and 200,000 attendees and be a part of the top decision-makers in the world. The trade line up is pretty impressive, all the key technologies and core areas of the industry right from IT, research and development, industrial automation, production technologies, industrial supply and services to energy and mobility technologies are coming together at Hannover. It will be good to imbibe all the synergies of HANNOVER MESSE. This will certainly offer big benefits to businesses of any size and proportion and we are no different. An opportunity that will amalgamate a worldwide exposure to a large number of potential leads along with the experience to communicate at personal levels for both the business and attendees that no other forms of marketing can ever hope to achieve. We have found a podium to voice our efforts and showcase our contribution to the rising economy in more ways than one. It will help us showcase our state-of-the-art technology, through technical sessions with competent speakers from across the world and discuss and deliberate on the latest current topics through panel discussions. We are all agog and excited to capitalize on the best market trends and opportunities.